New UL Listed DUN-SOLAR™ backsheets for photovoltaic applications with long term UV exposure and wide temperature ranges are now available from DUNMORE. DUNMORE is proud to announce its expanded portfolio of UL listed backsheets for photovoltaic applications. The DUN-SOLAR™ products are designed and manufactured for solar applications where robust characteristics are needed, such as long term UV exposure and wide temperature ranges. By incorporating high performance materials into the coated and laminated films, DUN-SOLAR backsheets provide superior moisture resistance, thermal, and UV stability. These photovoltaic (PV) backsheets combine process stability with excellent functionality. (https://www.dunmore.com/products/protective-backsheets.html) for 1000 volt and 1500 volt applications. PV backsheets that meet California (UL 1703 Fire Rating) and IEC 61730) are available in clear, white, and black configurations. Also available are other new and unique DUNMORE backsheets, including the DS392R for Bifacial Modules and the DS450 and DS475 PPC+ backsheets, which allow for greater module output and manufacturing efficiencies. DUNMORE is also a leader in (Polyvinyl Fluoride / Aluminum / Polyester / Polyethylene (TAPE) solar backsheets for copper indium gallium selenide (CIGS) panels and flexible module fabrication. DUNMORE’s two US manufacturing facilities and European facility in Germany provide a truly global supply chain and technical support capabilities. For PV module manufacturers that are looking for a technology leader and value long lasting partnerships, DUNMORE is a leading supplier. DUN-SOLAR products complement its market leadership position in diverse industries such as aerospace, energy, and graphics. DUNMORE is a global supplier of engineered coated and laminated films and foils. 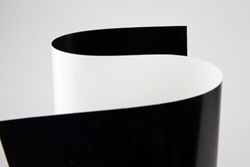 DUNMORE offers film conversion services such as coating, metalizing and laminating along with contract film manufacturing and custom film product development (http://www.dunmore.com/services/product-development.html). DUNMORE produces coated film, metallized film and laminating film substrates for the aircraft, spacecraft, photovoltaic, graphic arts, packaging, insulation, surfacing and fashion industries. DUNMORE is a subsidiary of Steel Partners and is ISO 9001:2008 and OSHA VPP Star certified. For complete information on DUNMORE’s products, services and industries served, please visit DUNMORE’s website https://www.dunmore.com/.